Cowboy Homecoming and Turn N Burn collide to make one spectacular event for the whole family, March 9-11, at the Atascosa River Park. The emphasis is on FREE, fun, friends, feasting and festivities for all ages. Entrance is free to the Atascosa River Park, Thursday, March 9 through Saturday, March 11. The carnival begins each night from 6:00 p.m. to 11 p.m. On Thursday, free music by bluegrass bands Pine Island Station and Tennessee Valley Authority will be featured under Pavilion 1 starting at 7 p.m. The Jack Daniels Experience Virtual Distillery Tour-ages 21 and up, also free, will be open to the public, Thursday and Friday, 6-11 p.m.
Fridays events begin at 5:30 p.m. with the Little Mr. & Miss Cowboy Homecoming pageant. Immediately following the pageant, the announcement weve all been waiting for will finally be made. The community will find out who will be crowned the 2017 Cowboy Homecoming Queen. There will be plenty of food and arts & craft vendors and more open from 6 p.m. to 12 p.m. on Friday. There will be a $5 charge at the gate to see music entertainment by South Texas Rainmakers and 86D. Saturday is sure to be the biggest and best day yet! 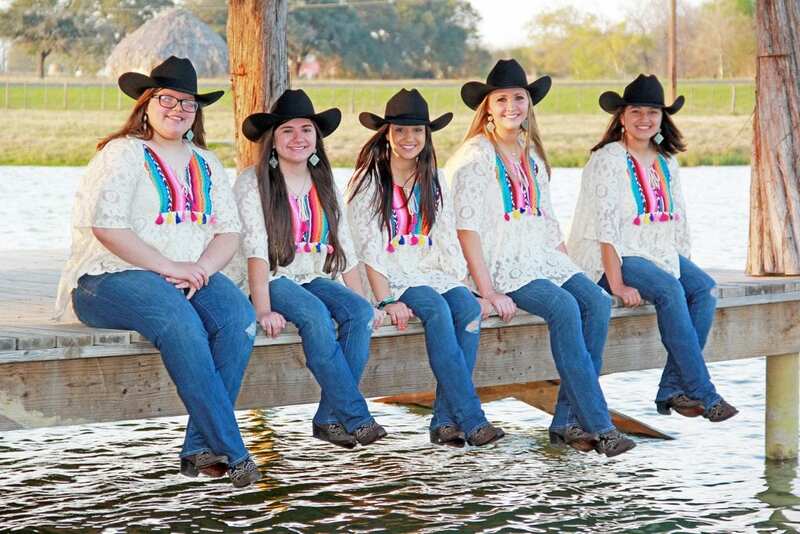 The Pleasanton Express 38th Annual Wild Bill Cowboy Gallop 5K Run and 2 Mile Fun Walk will kick off at 8 a.m. starting at the Atascosa River Park. Dont forget your lawn chairs and umbrellas for the Cowboy Homecoming parade that will begin at 10 a.m. on Bryant St. and end in the park. Adults 18+ can sign up to be a Turn N Burn Cook-off judge. Interested judges should sign up at the Turn N Burn tent by 10 a.m. These teams work hard in this competition and need the support of the community to judge. Judging will take place at the small pavilion near the playground at 11 a.m. with chicken, followed by pork spare ribs and brisket. There will also be a KidsQue competition for kid cooks starting at 4 p.m. at the baseball field. Be sure to swing by there and help judge their pork chops, as well! The awards assembly will take place at 6 p.m. under the large pavilion. For the first time ever, the Pleasanton Express will be hosting Docs Kiddie Corral sponsored by Dr. Michael McFarland. All games are free and children, 2-10, are welcome from 12-4:00 p.m. Prizes for all and memories forever. The Peanut Sack Races sponsored by Wilco Peanuts will run every 30 minutes right by the corral in the River Park soccer field. If you know of the cutest little cowboys and cowgirls in town, you may enter them in the Little Darlings Contest on Saturday, March 11 at 1 p.m. Dress them up in their cutest western outfits, hats and bandanas for this adorable little contest. Even if you dont have a child participate, its certainly one of the cutest events around. LC Rocks takes the stage at 9 p.m. followed by headliner William Clark Green at 11 p.m. Pre-sale tickets are being sold for $10 at the Pleasanton Chamber of Commerce or $20 entry fee will be charged at the gate. The Pleasanton Chamber of Commerce is proud to continue the Cowboy Homecoming legacy and spice up this age-old tradition with the cook-off sensation of Turn N Burn. Dont miss out on all the fun this weekend!